Decorating for a party intimate and discreet, the Christmas tree can take the form of light, be environmentally friendly and match the decoration of the house. I imagine that in the past or present days you must be setting the Christmas tree. The Immaculate Conception week end is in fact traditionally dedicated to this pleasant household activities, which involves us with its gleam of light and color and with the scent of the fir; Also some nice scented candle helps create the right atmosphere and boost the intimacy of slow and pleasant gestures that we used to make as children. Some people, however, even in this festive occasion, embraces the cause of minimalism and, for reasons of space, no time, or simply lack of interest in the matter, prefer to install at home an unpretentious tree, whose forms are perfectly matching the ordinary setting and do not crowd with excesses a space dominated by the peremptory nature of concrete and black & white. Reading these few lines may be frightening and imagining sad decorations, anonymous and free of the personality necessary to characterize the the celebration. Wrong; stay tuned and "I have no doubt" you will change your mind. The first tree that happens to be in my hands, ecological and versatile, is One Two Tree by the Australian designer/ artisan Lucy McNamara. A simple structure made of pine, from forests managed in a responsible manner in the Yarraman region in Queensland, gives life to a trunk with 26 branches that round it. 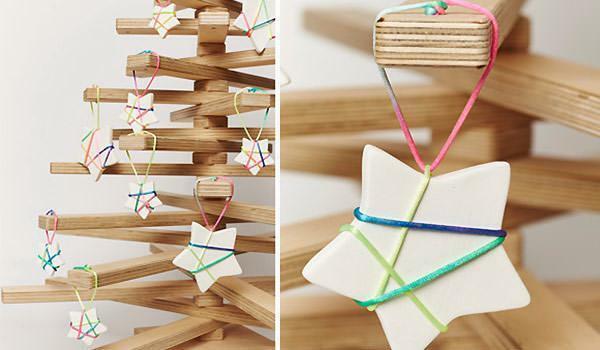 Thanks to this simple mechanism, the tree can take on many different shapes and adapt to every personal need of decoration that, if desired, can slip a little over the limit of 6 January. 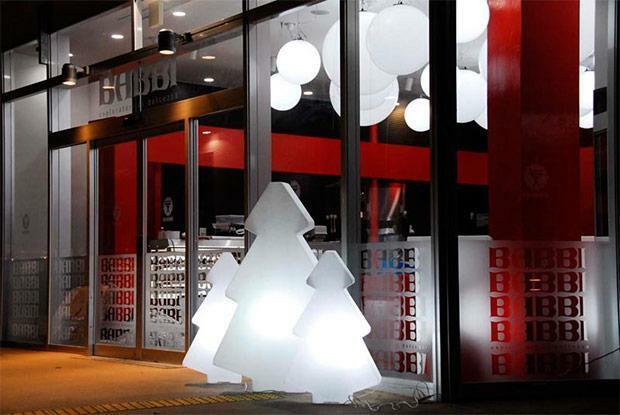 Flat packaging, compact and lightweight, makes us get home, directly from faraway Australia, at a quite high price: 105 local dollars are needed to start shipping and are obviously added to the cost of the tree, which amounts to $ 349. Doing some account, the total cost to get this sustainable decoration amounts to just over 350 $. 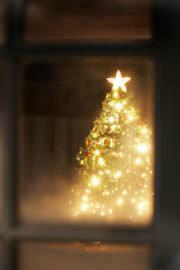 Before you spend them know that the tree is 84.5 cm tall and its branches determine a lateral dimensions up to 70 cm. 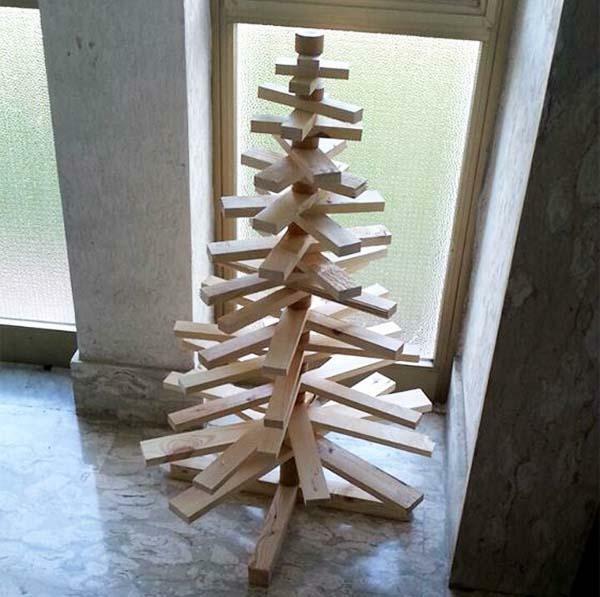 Proving that the nice ideas, with a bit of dexterity and good will can be put into practice, in the pictures below two proposed minimal trees, both with pieces of reclaimed wood, made by our reader Luisa Barbarulo. 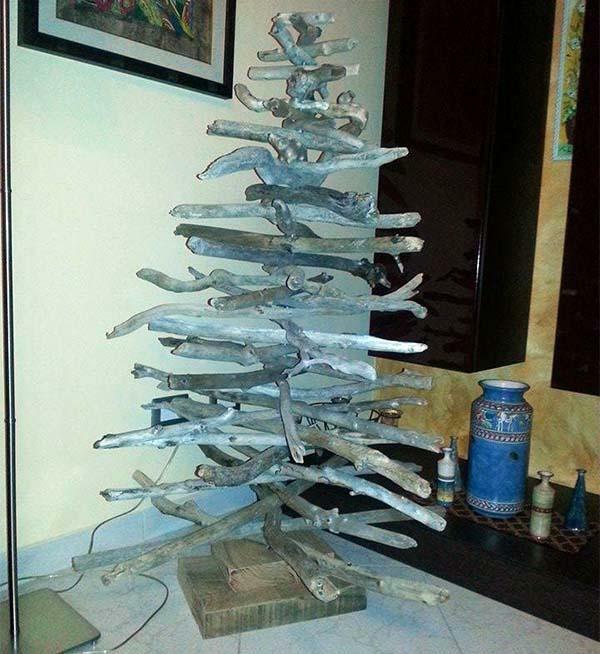 Simple, clean and certainly original, this Christmas tree will be a real surprise for guests when completed with the decoration, this too obviously under a sign of' eco-sustainability and do it yourself! More articulated the second tree: installed using real branches, each with its sinuous natural form, this variation on the theme could even remain as it is, without decorative frills or trimmings. Those who want to make a small investment in a Christmas design object can that won't be out of place, in the furnishings of the house, even after the last light of the parties has gone out, it has only to turn to Lightree Loetizia Censi for Slide. This floor lamp in polyethylene, available in classic red, green and white, traces the shape of a stylized fir similar to that, which is certainly familiar, to cut out the cookies in shortcrust pastry. Choice of more specimens of size, can create real bright forests, to be installed indoor and also outdoor. The Lightree 1.5 and 2 meters high are in fact approved for outdoor use and do not fear the attack of the rain or of the snow, in these days before holidays, that perhaps will decide to come down on our gardens. You can buy the lamp at the online shop by Slide. The others have prices that range. In all cases the cost of shipping is not included. 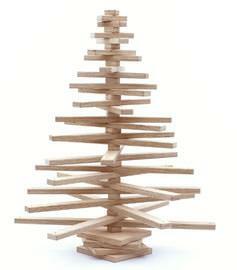 The assemblable birch plywood interlocking tree Lovi Xmas tree supports the Do-It-Yourself philosophy, which comes from a Finnish company attentive to the needs of the environment and the problems of drought and floods. To the purchase of each article, in fact, Lovi associates a small contribution to the planting of new trees. 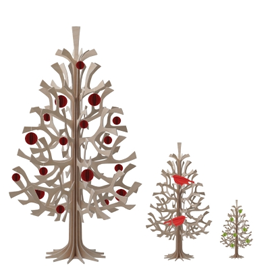 This minimal and good Christmas tree is available in three sizes and you can buy it on the online shop of the company; it costs, respectively, 64.00 $ (30 cm high), 155.90 $ (60 cm) and 410.00 $ (120 cm). Shipping costs are computed at checkout.